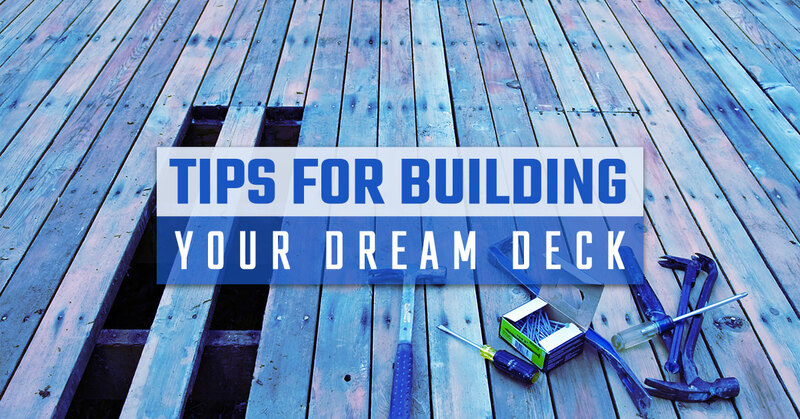 Plan ahead – Many homeowners make the mistake of hiring a deck builder right from the beginning. Don’t rush the process. The last thing you want is to speed through things and wind up with a deck you hate or can’t afford. Spend some time doing your own homework before coming with a plan. Look at the space you have at your disposal. Determine whether or not you will need stairs and how you will access the deck. Trust us, the more seriously you take the planning step, the easier everything else will be. Select a style – The style of deck you like may not be what your neighbor likes. That’s ok! Your local deck builders will be able to offer a number of styles to pick from. A tiered deck, for example, allows you to create various areas for eating, relaxing and playing. Ground level decks, meanwhile, do a great job of blending into the environment and makes your yard look larger. Whichever style you go with, make sure it’s approved by your zoning board before going further. Think about materials and foundation – At Ready Decks, we only use premium-grade, treated lumber. Our decking boards are hand-selected at the sawmill, guaranteeing no knots or heart-of-pine boards. Today, pressure treated wood is the industry standard. That said, a handful of decking companies opt for recycled plastic and wood composite. Rest assured that we won’t use low-quality, unsightly materials in your project. In addition to materials, be sure to give some thought to the foundation. Ask yourself, “What type of soil should I work with?” Don’t forget to consider how much you plan to spend on the entire project. Know that size matters – Your deck’s comfort is reliant on size. Will the deck be used only by you and your spouse? Or do you intend to have large groups over for regular gatherings? Whatever the case, position your deck in relation to the sun’s position in your yard during summer. Factors such as the location of trees/sheds and privacy also come into play here. Hire your deck installer – At this point, you’re ready to ready to hire a deck contractor. So what exactly separates Ready Decks from the rest? For one thing, nobody builds more decks than Ready Decks. Our mission has stayed the same since the company was established in 2001: Provide homeowners with the highest-quality site-built decks in the shortest time possible while offering the greatest value. Not only that, but we’re constantly looking for ways to improve what we do. Our passion lies in pairing homeowners with affordable decks. See how our local deck builders can build your deck on site and in one day! Call now to get started.